For those of you who don’t know, last month I was a guest blogger on a site called “Oopsey Daisy”. This is the craft that I submitted for her site. If you live in a state (like Minnesota) that doesn’t start school until after Labor Day, then this is a great thing for you to do this weekend… If you live in a state that has started school, why not surprise your teacher with a “just because” gift… If you don’t go to school, why not make these cute apples as a culmination to learning all about apples… What ever you choose, they are easy and very cute. I think you could make other fruit the same way if you use your imagination! 1. 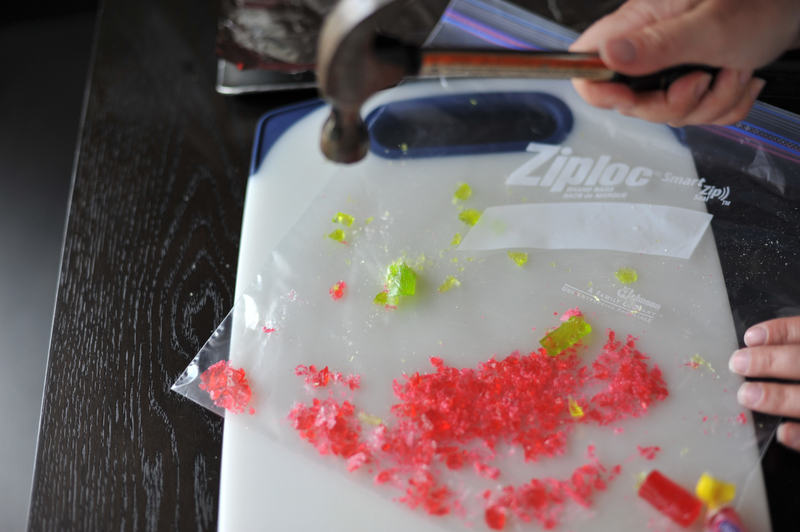 Preheat your oven to 250F and sort through all those colorful Jolly Ranchers! 2. 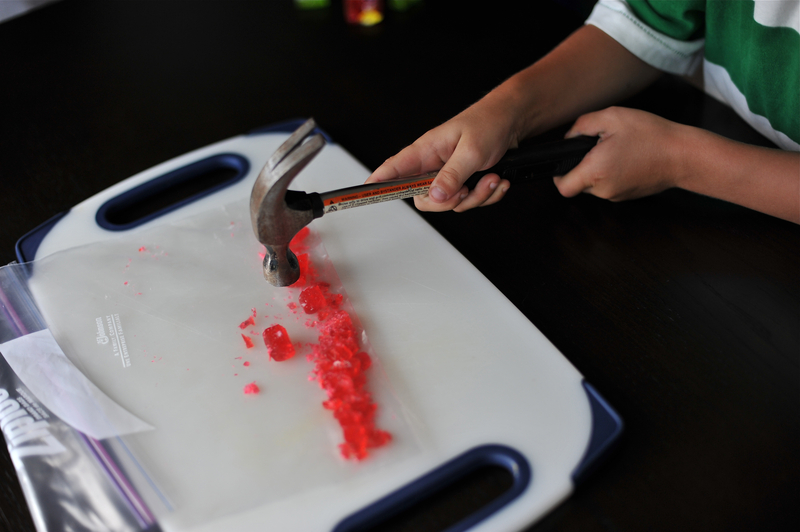 Put your red jolly ranchers in a plastic baggie and crush them with a hammer to form smaller pieces (don’t crush too much because you don’t want super small pieces). 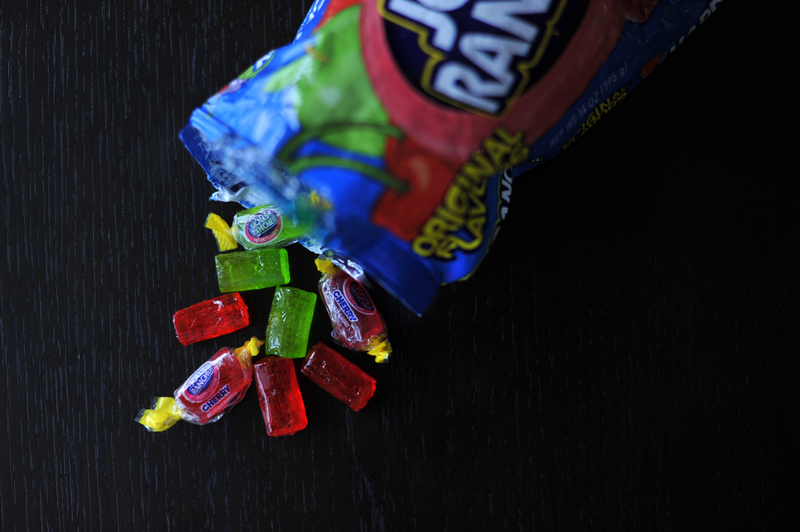 Repeat this process with your green jolly ranchers. 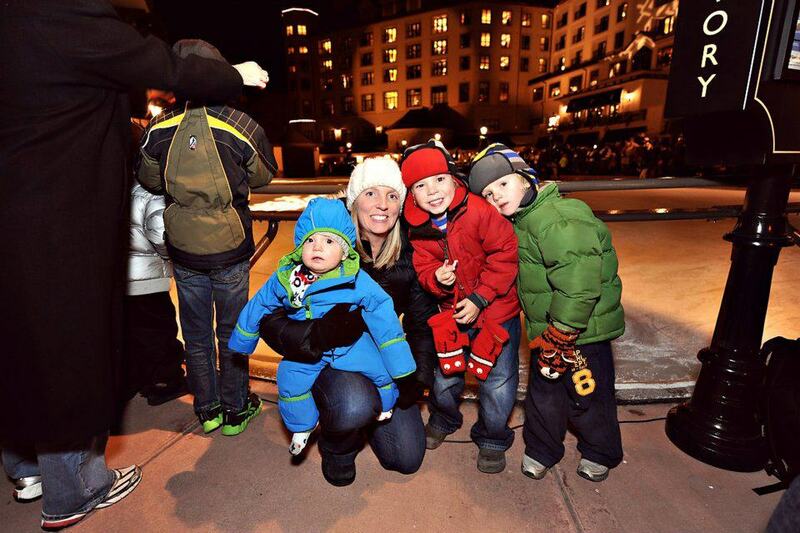 I’ll be honest, I had my kids do this and they LOVED it…. I thought maybe we should do it outside, but after experimenting myself I found it doesn’t take much to smoosh the jolly’s so we did it inside! 3. 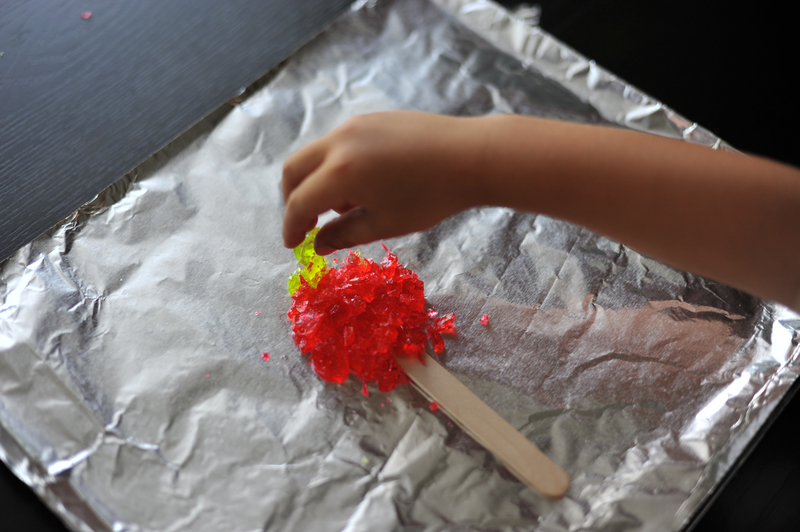 Place a lollipop stick on your baking sheet lined with tinfoil. 5. 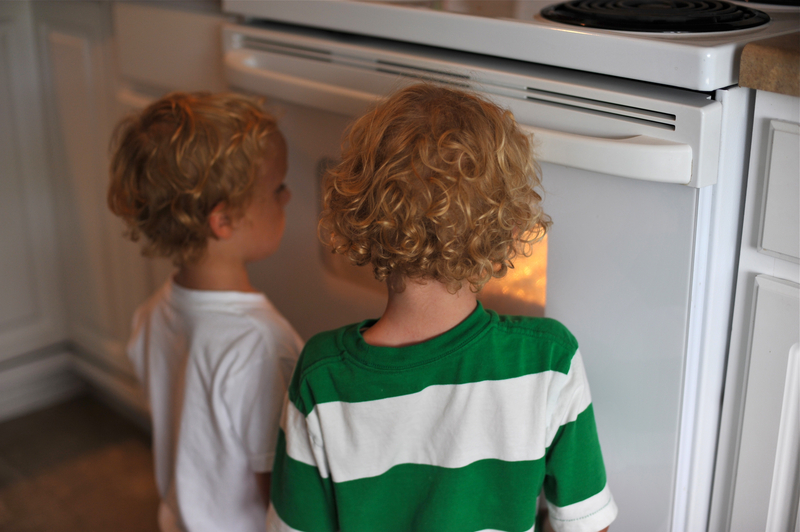 Slide your cookie sheet in the oven and cook for 10-12 minutes, or until completely melted… At the end it melts quickly so it’s fun to watch! 6. Remove your apple from the oven and allow it to cool before peeling it off the foil. 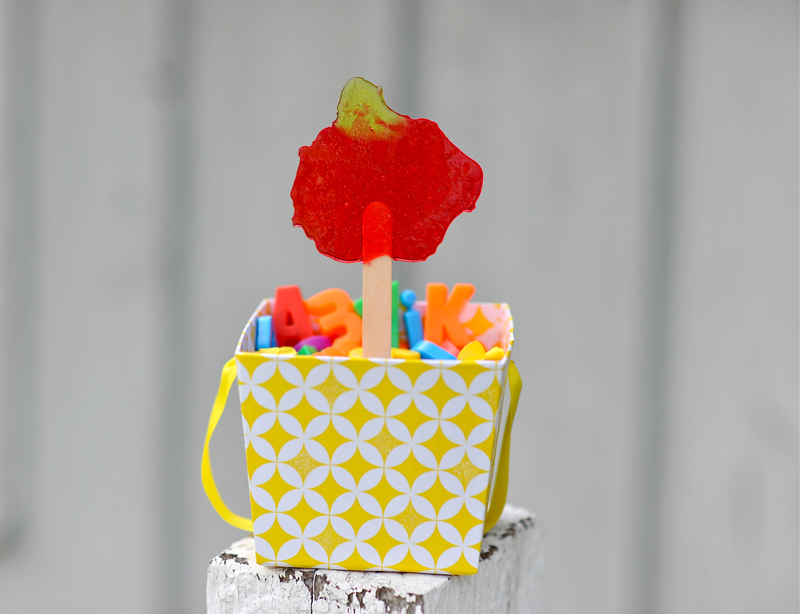 One thing to note is that these are “free formed” lollipops. 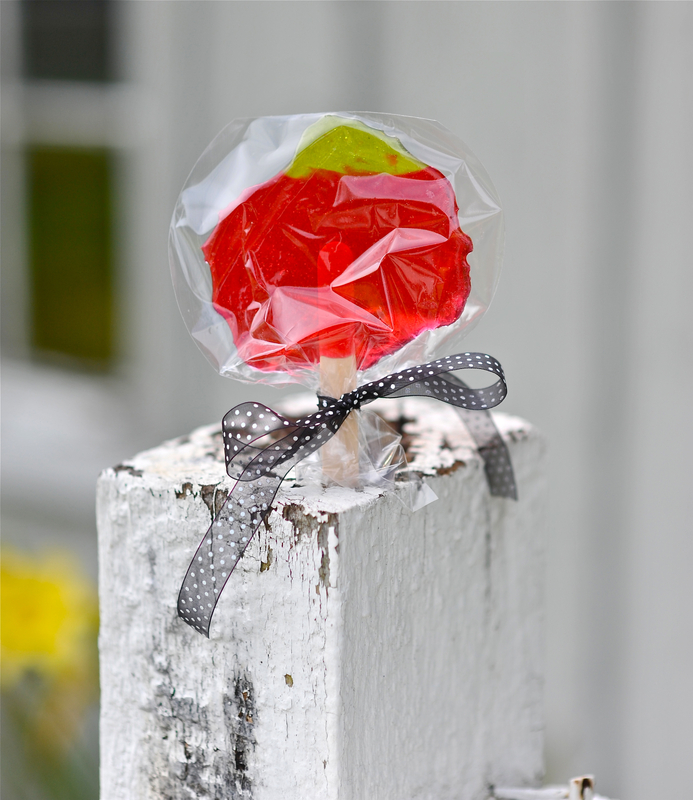 If you prefer your lollipops to be perfect you could use an apple shaped metal cookie cutter to help you out (this suggestion made by my very professional pastry chef of a sister in law) and I think it’s a fantastic idea!